I invented a rudimentary version of this dessert in the summer of 2013 while spending time in Japan and China; very hot, very humid but abundant in tofu even if the concept of 'animal free' perplexes most people. On returning to the UK I amended it for additional indulgence! Use bamboo skewers if possible. It's nice to have reusable metal ones but they are a bit too cold on the fingers when frozen, I find. 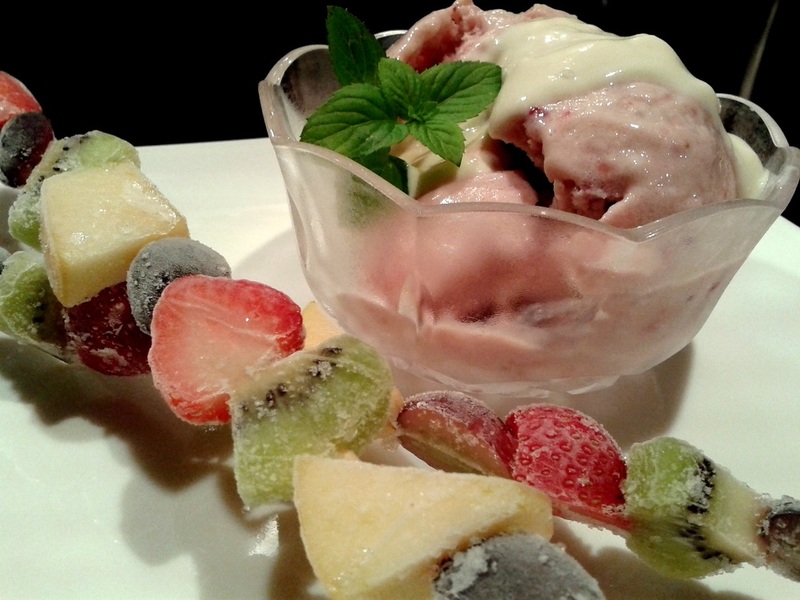 If you prefer chunky fruit in your 'not' ice cream, don't chop the strawberries as they get further mashed up in the blending process. Serve with a drizzle of soya yoghurt or cream for extra indulgence!